Current food safety solutions are failing. US$55 billion: The total annual cost of medical treatment, lost productivity and illness-related mortality due to food-borne pathogens. US$10–30 million: The typical cost of a food recall in the USA (excluding the reputation/brand damage). Faecal matter in meat is home to a variety of dangerous bacteria - key among them, E.Coli. In the USA alone, meat and poultry account for 85 recalls per annum. Consists of dedicated independent meat inspectors visually inspecting carcasses and meat cuts on a daily basis to identify contamination. Given the large numbers of animals processed every day, this method of identifying contamination is prone to human error. Based on the trial data gathered to-date by Veritide, visual inspections clearly miss micro-contamination and non-visible contamination, which may lead to significant contamination risk as the meat moves through the supply chain. This approach creates risk for meat processors and passes this risk further along the supply chain, including potentially to consumers. US, China, Australia and other jurisdictions have a “zero tolerance” for faecal contamination on meat carcasses. Inspectors are present in slaughter plants at all times (In the US, large plants may have up to a dozen inspectors per shift). If an inspector finds contamination, a carcass must be cleaned, trimmed or condemned. Have a negative environmental impact. In comparison, the Veritide technology can identify visible and non-visible faecal contamination in real time, providing still photos or video evidence of the contamination location and intensity. This in turn allows each carcass or meat cut to be treated appropriately. Includes swabbing meat samples and testing for the presence of bacteria. This method is expensive and time consuming (see Figure 5). The area tested is small relative to the size of the carcass and hence misses potential contamination. The time taken to get results is three days and therefore there is the potential for other contaminated product to be dispatched to domestic or international customers before results are available to a processor. This approach creates risk for meat processors and passes this risk along the supply chain. When meat is contaminated with faeces, there is a high degree of probability that the faeces will contain e-coli bacteria from the animal’s stomach. While this is not always the case, because of the high correlation between faeces contamination and e-coli, the removal of affected meat (e.g. by trimming areas affected from a carcass) helps reduce the prevalence of e-coli in the meat supply chain. Certain strains of e-coli can be highly poisonous e.g. strain 0157:H7 can be fatal. For a good example of how things can go very wrong, please refer to the Jack In A Box e-coli food poisoning outbreak in 1993, which had tragic consequences. Due to contamination in processed meat. The “blown bag rate” for contaminated meat shipped can be several percent. This is where the vacuum sealed bag with the meat cut in it “blows up” due to bacteria growing in it creating gas and indicating the product is “off”. Shelf life is adversely affected by contamination. A cleaner product will have greater shelf life. Thus adding value through the supply chain – less wastage and more time on shelf and more time to use in the home. The cost of a product recall is significant and growing. 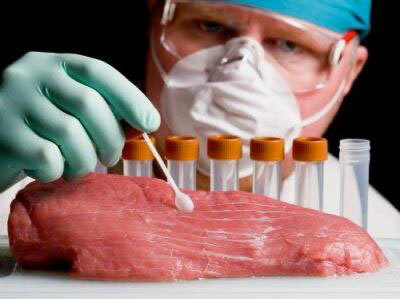 47% of recalls of meat and poultry products in the USA are due to microbial contamination. Recalls increased by 96% in the decade to 2014, which may reflect improved testing and consumer awareness. There is an ongoing insurance cost to industry associated with the level of product recalls, which the supply chain currently bears due to the rate of incidence of recalls. Veritide have advised their understanding that the average product recall in the USA currently is between $10 and $30 million, though some have been as high as $500 million. In countries such as the USA and China, food safety regulations dictate that there must be no faecal contamination on meat. If meat contamination is detected, export companies risk containers being destroyed and export licences lost. The recent banning of imports from Brazil by China and other countries as a consequence of contaminated meat shipments, illustrates the potential ramifications to an industry should a major contamination event occur. 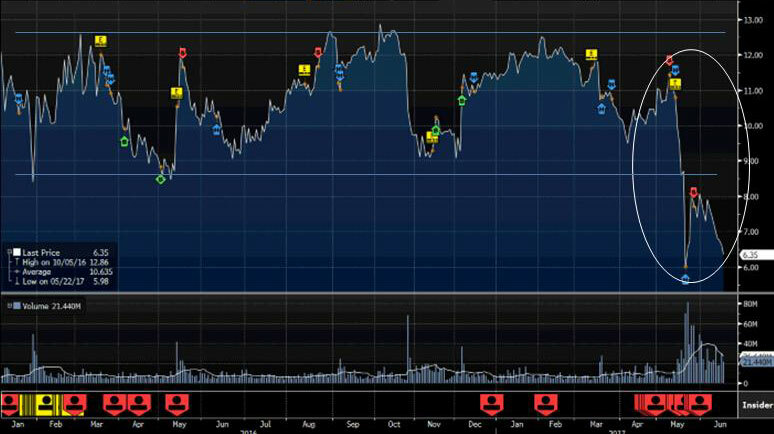 Figure 6 shows the JBS share price leading up to and after the meat contamination scandal in March. This clearly illustrates the financial impact that poor food safety outcomes can have on shareholder value. Once confidence is lost, it is also hard to regain.